A great way for a rookie author to gain literary representation—beyond having a top-notch novel or nonfiction proposal—is to query a newer agent at an established literary agency. It's a "best of both worlds" scenario: you get in on the ground floor with an agent who is working hard to build his list and establish himself in the industry, while benefiting from the agency's reputation and combined experience. The agents coming to the 2011 Write Stuff conference fit this description perfectly. One of them is Adam Friedstein of Anderson Literary Management. Anderson Literary Management is the culmination of Kathleen Anderson’s three decades of publishing experience, thirteen of those years as an agent, seventeen as an editor. In 1995, she made the unorthodox decision (at the time, which is commonplace now) to “jump the fence” and leave institutional publishing for the entrepreneurial world of agenting. The decision was prescient because, in fairly short order, her authors gained international reputations on the back of her established tenure as an editor. It was a liberating move, allowing her to become more closely aligned with the discovery of authors and manage their artistic development. Her literary acumen attracted writers of all stripes without the restrictions of working for a single imprint of a publishing house. Now ALM represents authors to the industry as a whole. Their projects are roughly 50% fiction, 50% nonfiction. The agency's philosophy: "We are committed, spunky, empathetic communicators, representing authors who are truth-tellers as well as story-tellers. We foster long-term relationships based on integrity, sound business practices, mutual respect, and companionship. We represent authors, not books – meaning, we manage and nurture the careers and ideas of writers over many books, not just on a book-by-book basis – and we remain active as partners throughout the publishing process. We orchestrate publishing and media deals worldwide involving factors both personal and professional, because matching writers with the right people to publish, film, and stage their work is our key to their success." 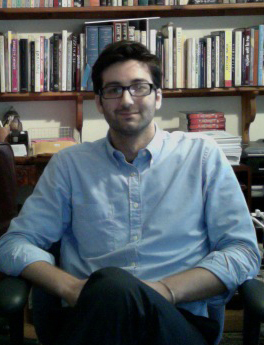 Adam Friedstein of Anderson Literary Management grew up on the North Shore of Massachusetts and holds a B.A. in Comparative Literature from Bard College. He began his publishing career in 2005 at Writers House, later going on to the foreign rights department at Harold Ober Associates, and most recently Trident Media Group where he worked with agents Ellen Levine, Alex Glass, and Melissa Flashman and authors such as Christopher Andersen, Russell Banks, Stanley Fish, and Matt Bondurant. What Adam is looking for: Books that make statements, books with captivating characters and loud voices, books with unique perspectives on the familiarity of adolescence and adulthood, specifically debut literary fiction, literary thrillers, young adult fiction and narrative and serious nonfiction, including memoir, popular science, and pop-culture books. More about his interests in "serious nonfiction": In addition to other categories mentioned above, this includes biographies, histories, extrapolated critical essays, travel books, idea books in technology, politics, education. Books researched and written by authors with appropriate qualifications. More about his interests in YA: Historicals; "I like YA on the darker, older side as well—quirky stories that remind me of the pathos of adolescence in a creative way." What he's not interested in: Celebrity memoirs, or prescriptive dating and weight loss books. He also admits to never having been a big sci-fi or fantasy guy. Read an interview with Adam at Chuck Sambuchino's Guide to Literary Agents blog.